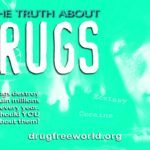 Drug & Alcohol Test – Say-Med Medical Supply Co. 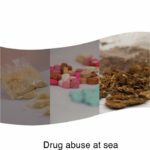 Drugs and alcohol can have a truly damaging effect on board a vessel. We have the coverage, flexibility and experience to offer exactly the testing you need, where you need it so you can manage risk and keep your crews safe. Our Custom made German Drug Tests give the most accurate results within minutes. What is Detection Time in Urine Based at Standard Cut-off ? Detection time for Alcohol is upto 12 hours, For Drug parameters it change between 1 to 4 days generally. For Methaqualone it is 3 to 7 days, for Phencyclidine it is 7 to 14 days ,For Propoxyphene it is 6 to 36 days. Which parameters can be tested on board? If your doctor gives you any other instructions, follow these. If you can’t hand your urine sample in within an hour, you should keep it in the fridge at around 4C (39F) for no longer than 24 hours. Put the container of urine in a sealed plastic bag first. If the urine sample isn’t kept in a fridge, the bacteria in it can multiply. If this happens, it could affect the test results. How can we get the result for longer period of duration for Drug Tests? longer period of time with one single analysis. and will remain permanently within the hair matrix. reflects the consumption behaviour of a whole year. Its remit today includes safety, environmental concerns, legal matters, technical co-operation, maritime security and the efficiency of shipping. The IMO is the source of approximately 60 legal instruments that guide the regulatory development of its member states to improve safety at sea, facilitate trade among seafaring states and protect the maritime environment. The most well known is the International Convention for the Safety of Life at Sea (SOLAS). Orginally adopted by the IMO in 1973 the protocol of 1978 was due to a number of tanker accidents between 1976-77. As the convention of 1973 had not come into play the 1978 protocol took over the parent convention. in 1983 this combination came into force and was upsated in 1997 and 2005. 500 gross tonnage or over, flying the flag of a Member and operating from a port, or between ports, in another country. Persons concerned with the conduct of medical fitness examinations of seafarer candidates and serving seafarers should follow the ILO/ WHO Guidelines for Conducting Pre-sea and Periodic Medical Fitness Examinations for Seafarers. Development and implementation of ships’ occupational safety and health policies and programmes shall be considered as meeting the requirements of this Convention. The assessment of risks and reduction of exposure should take account of the physical occupational health effects and occupational accidents. 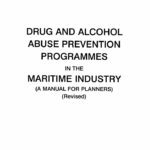 Education and training of young seafarers both ashore and on board ships should include guidance on the detrimental effects on their health and well-being of the abuse of alcohol and drugs and other potentially harmful substances. The assessment of risks and reduction of exposure on the matters referred to in paragraph 2 of this guideline should take account chemical and biological occupational health effects. Education and training of young seafarers both ashore and on board ships should include guidance on the detrimental effects on the risk and concerns relating to HIV/AIDS and of other health risk related activities. The SIRE Programme is an assessment tool designed for ship operators, terminal operators, charterers and government bodies who are concerned with ship safety. In the tanker industry SIRE has raised awareness on the importance of meeting minimum tanker quality and ship safety standards. The SIRE system is a very large database of up-to-date information about tankers, smaller vessels and barges. 8000 vessels currently in database, their assessment report are available (sold to) for all OCIMF members. 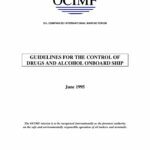 This policy is about drug and alcohol abuse which must be applicable to that vessel and at the very least meeting the standards in the latest edition of OCIMF Guidelines for the Control of Drugs and Alcohol Onboard Ship. Alcohol impairment is defined as a blood alcohol content os 40mg/100ml or greater. Drug and alcohol screening is applicable to all of the vessels officers and will be both part of routine medical examinations and unannounced. To become an effective deterrent the testing should have frequency to do so and all officers should be tested at least one a year. The policy must remain through the charter term and complied with. Anyone who returns a positive test, refuses to have a test, or is deemed unfit for duty due to impairment from drug or alcohol use will be removed from the vessell and cannot return while the charter term is still running. Testing must be carried out pre-employment, randomly at a rate of at least 50% per annum, and post accident. There are specific regulations for reportable marine casualties. USCG 46 CFR 4.06-5 has requirements for alcohol testing following a serious marine incident (SMI) (effective June 20, 2006). Drug and alcohol testing must be conducted on each individual engaged or employed on board the vessel who is directly involved in the SMI.The alcohol testing of each individual must be conducted within 2 hours and the drug-test specimens must be collected within 32 hours of when the SMI occurred, unless precluded by safety concerns directly related to the incident. As a consequence vessels have to carry appropriate breath or saliva testing devices for alcohol, and have the means to arrange for the collection of urine samples for drug tests. This overview summarizes U.S. Coast Guard requirements for the drug and alcohol testing regulations in Title 46 Code of Federal Regulations (CFR) Parts 4 and 16. Because the Coast Guard has established minimum drug and alcohol testing requirements for the merchant marine industry, this paper is designed to simplify those regulations into a practical guide for the marine employer. If a highly technical, legal, or unique problem arises, consult the regulations, the nearest Coast Guard Marine Safety/Inspection Office, or the District Eight Drug and Alcohol Program Inspector at (985) 589-6195. Categorized into two parts, this guide will amplify the important areas of the regulations. First Part 16 is applicable to those crewmembers who serve on U.S. Flag commercial vessels. These regulations describe the program requirements for pre-employment, random, reasonable cause, periodic, and post-casualty drug testing (serious marine incident). The requirement for an education and training program is also described. Secondly, Part 4 discusses the chemical testing requirements for all persons, which includes foreign crewmembers who are directly involved in a serious marine incident while serving onboard any commercial vessel upon the navigable waters of the U.S., it’s territories or possessions. The Coast Guard regulations for operating a Vessel While Under the Influence of Alcohol or a Dangerous Drug (33 CFR 95) are not addressed in this overview. 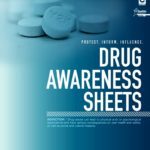 The regulations in 46 CFR Parts 4 and 16 were developed and first promulgated in 1988 as part of the Department of Transportation (DOT) program to address drug and alcohol use in the U.S. transportation system. The regulations developed by the Coast Guard set the minimum requirements for testing in the marine industry. 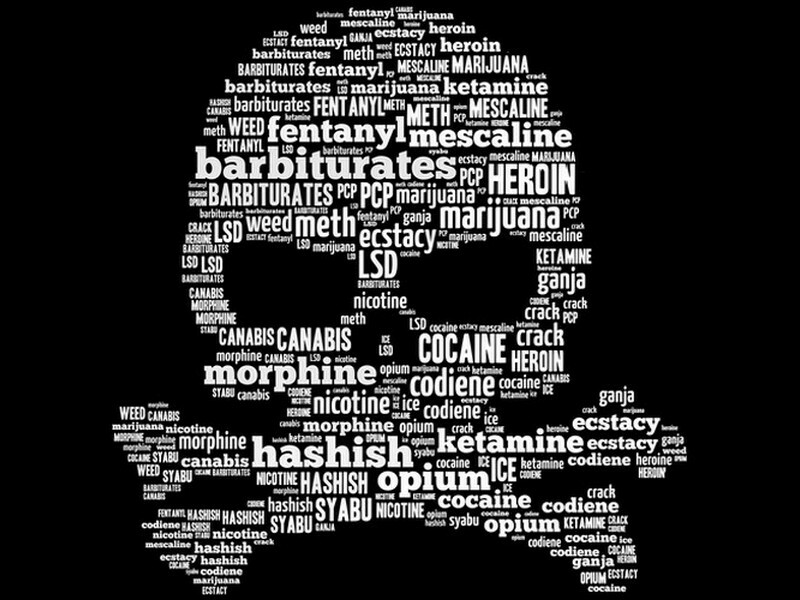 Testing conducted under these regulations is limited to five dangerous drugs (marijuana, cocaine, opiates, amphetamines, and phencyclidine (PCP)) and alcohol. All dangerous drug samples collected as part of these regulations are urine samples and must be analyzed at Health and Human Services (HHS) certified labs in accordance with DOT procedures contained in 49 CFR 40. A marine employer may conduct DOT tests more often than required. However, if an employer wishes to test for additional drugs, or use a different cutoff level the employer must keep such a program separate from the DOT required testing program, including separate sample collections. Certain crewmembers are subject to the regulations of Part 16. If a license, Certificate of Registry (COR), or Merchant Mariner’s Document (MMD) is required by at least one person on the vessel, then that person, and possibly more could be subject to the regulations based upon their responsibilities on the vessel. Each vessel must be evaluated independently using the definitions of “crewmember” and “operation” to determine person-specific applicability. With the exception of serious marine incident testing requirements, the regulations contained in Part 16 are not applicable to foreign flag vessels or those vessels that do not require licensed personnel. Examples of vessels where licensed personnel are not required (and therefore these regulations do not apply) are towing vessels under 26 feet in length and commercial fishing industry vessels under 200 gross tons. DOT testing is only allowed for alcohol and the five specific drugs mentioned above. Testing for drugs is conducted through urine samples, while testing for alcohol in the marine industry may be conducted using breath or blood. If blood is tested, only a qualified medical person may collect it. Breath testing may be done by anyone trained to conduct such tests. The Coast Guard does not mandate the use of Evidential Breath Testing devices. All urine samples must be collected, handled, analyzed and results reported in accordance with DOT-wide urine collection requirements located at 49 CFR 40. For more information on these collection procedures, contact the Secretary of Transportation’s Office of Drug and Alcohol Policy and Compliance at (202) 366-3784. Urine samples collected in order to meet the requirements of the Coast Guard rules may not be tested for any other drugs. If an employer wants to test for other drugs, samples must be collected and processed separately from samples used for DOT tests. Employees must provide a urine sample for drug testing, and a blood or breath sample for alcohol testing, when directed by their marine employer. Any one or more of the following may be considered a marine employer: the owner of a vessel, the managing operator, the charterer, the agent, the master, or other person in charge. The marine employer is responsible for administering drug and alcohol testing programs for their employees. The marine employer must establish an Employee Assistance Program (EAP). This EAP must include education and training. (3) a community substance abuse hot-line telephone number for crewmember assistance. (3) documentation of training completed by employees. Supervisors must be given at least sixty minutes of training. A crewmember who holds a license, COR, or MMD who refuses to provide a test sample should be reported to the nearest Coast Guard Marine Safety/Inspection Office for the Coast Guard to take action in accordance with applicable laws and regulations. The marine employer must collect drug and alcohol testing program data for input to the Management Information System (MIS). This data is collected for each calendar year, January 1 to December 31, and must be submitted to Commandant (G-MOA), U.S. Coast Guard, by March 15 of the following year on Form CG-5573. The form and its instructions may be obtained at any Marine Safety/Inspection Office. Data may be submitted by a drug testing consortium, if used, on behalf of a marine employer. If a marine employer uses a drug testing consortium, the marine employer must notify Commandant (G-MOA) in writing of the consortium or representative that will submit the employer’s data, and remains responsible for ensuring that the data is submitted and is accurate. 1) Number of covered employees. 2) Number of covered employees subject to testing under the anti-drug rules of more than one DOT agency because of the nature of their assigned duties, identified by each agency. 3) Number of drug and alcohol tests by test type. 4) Number of positive drug test results verified by a Medical Review Officer (MRO) by test type and type of drug(s), and number of alcohol tests resulting in a blood alcohol concentration of .04 percent by weight or more by test type. 5) Number of negatives reported by a MRO by type of test. 6) Number of applicants denied employment based on a positive drug test result verified by an MRO. 7) Number of marine employees with a positive drug test result verified by an MRO, who were returned to duty in a covered position, having met the requirements of 49 CFR Part 40 and 46 CFR Part 5. 8) Number of marine employee drug test results that MROs verify positive for more than one drug or combination of drugs. 9) Number of covered employees who refused to submit to a Coast Guard required drug test. 10) Marine employee training and education information. 11) Occasions for Drug and Alcohol Testing. Periodic: Periodic tests are the responsibility of the individual mariner, not the marine employer, for transactions involving licenses, CORs, or MMDs. Drug test results must be submitted to the Coast Guard Regional Exam Center at the time of the license, COR, or MMD transaction. Post accident: A person (not necessarily a crewmember) who is directly involved in a serious marine incident must be tested for drugs and alcohol. Post-accident testing applies to all serious marine incidents involving commercial vessels regardless of flag of origin. More specifically, this includes crewmembers aboard foreign flag vessels who are directly involved in serious marine incidents occurring in U.S. waters. A positive drug test of a urine sample is one, which a designated Medical Review Officer (MRO) verifies as positive. The MRO is a licensed physician with knowledge of substance abuse, chemical testing, and related subjects. The marine employer must ensure that all of the test results are sent from the lab to the employer’s designated MRO. Only when the MRO verifies a person’s confirmed positive test result from the lab and reports the test as positive to the marine employer has that person then failed the drug test. The MRO evaluates and investigates the confirmed positive reports from the lab to determine if there is any legitimate explanation for the positive test (prescriptions, etc.). The MRO also reviews the chain-of-custody and other procedures to insure that there is no possibility of error or “mix-up.” If there is a legitimate explanation or a possibility of error, the MRO will not verify the test as positive. 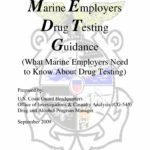 Marine employers must make a written report to the Coast Guard of all positive drug tests resulting from any required testing of any individual who has a license, COR, or MMD issued by the Coast Guard. Positive test results must be reported both for present and prospective employees. The marine employer must make this report whether or not the individual was hired or not hired, and regardless if the position was one where a license, COR, or MMD is required. As long as the person has credentials issued by the Coast Guard, and if they test positive, a report must be made to the Coast Guard. 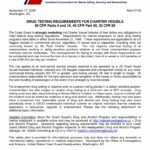 Marine employers are not required to report positive pre-employment drug test results to the Coast Guard for persons who do not have licenses, CORs, or MMDs. However, these individuals still may not be employed. All drug and alcohol test results must be reported for persons tested, regardless of citizenship, following a serious marine incident, whether or not they hold Coast Guard issued credentials. Yearly MIS reports are required. See the discussion under “Responsibilities of the Marine Employer. (2) The number of individuals who tested positive and for what types of drugs. Employers are required to retain a previous employee’s DOT drug and alcohol testing records for three years. This also includes pre-employment DOT drug and alcohol test results for potential employees (applicants), even if the applicant was not hired. Before placing an employee in a safety-sensitive position, you must obtain the employee’s written consent and request information from all DOT-regulated employers for whom the employee has worked within the previous two years. Procedures on requesting information, as well as specific information to request can be found in 49CFR40.25. 46 CFR 4.06 Coast Guard – Mandatory Chemical Testing Following Serious Marine Incidents Involving Vessels in Commercial Service. 46 CFR 16 Coast Guard – Chemical Testing: types of testing required and procedures for the marine employer (when and who to test). 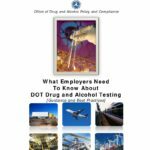 49 CFR 40 DOT – Procedures for Transportation Workplace Drug Testing Programs: procedures for all DOT-regulated drug testing, includes technical regulations for collection and testing (how to test). 33 CFR 95 Coast Guard – Operating a Vessel While Under the Influence of Alcohol or a Dangerous Drug: sets the standard for alcohol intoxication and contains authority for chemical testing, primarily for alcohol. 33 CFR 95 is not discussed in this guide.